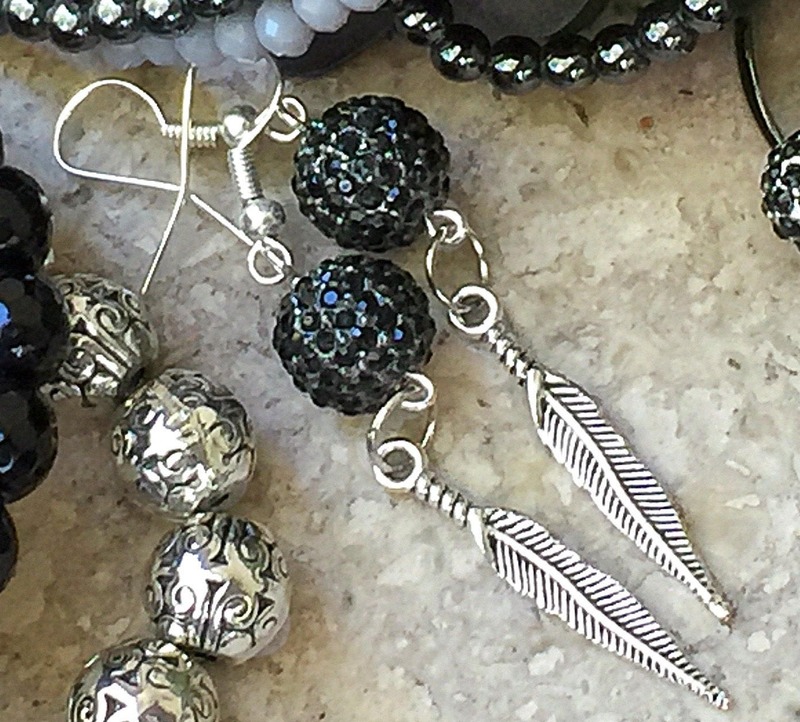 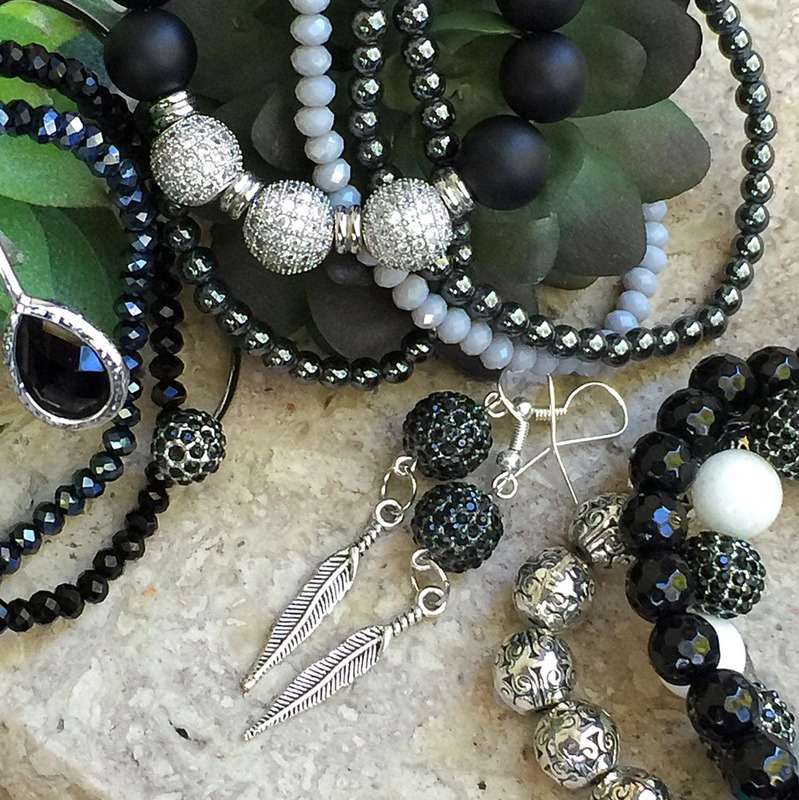 "Rich Jet Pave Crystals Spheres atop sweet Antique Silver Feather Charms. 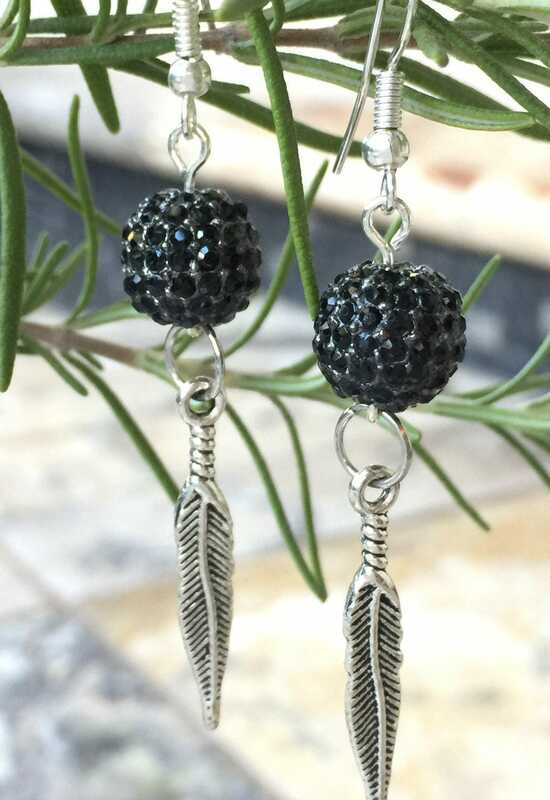 Boho casual feel in a Dangle Earring. 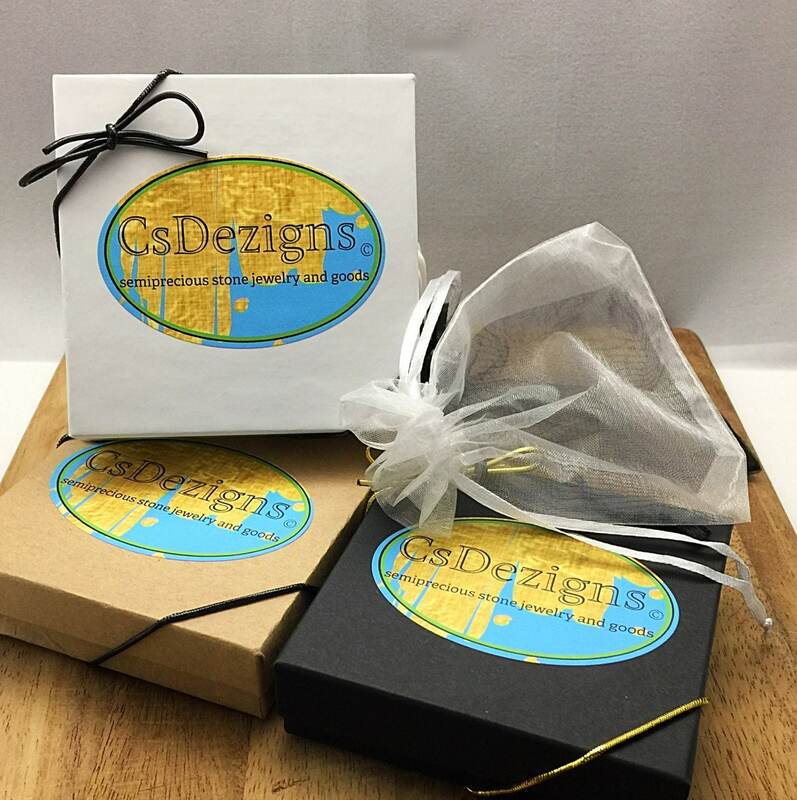 All gifts come packaged ready to give. 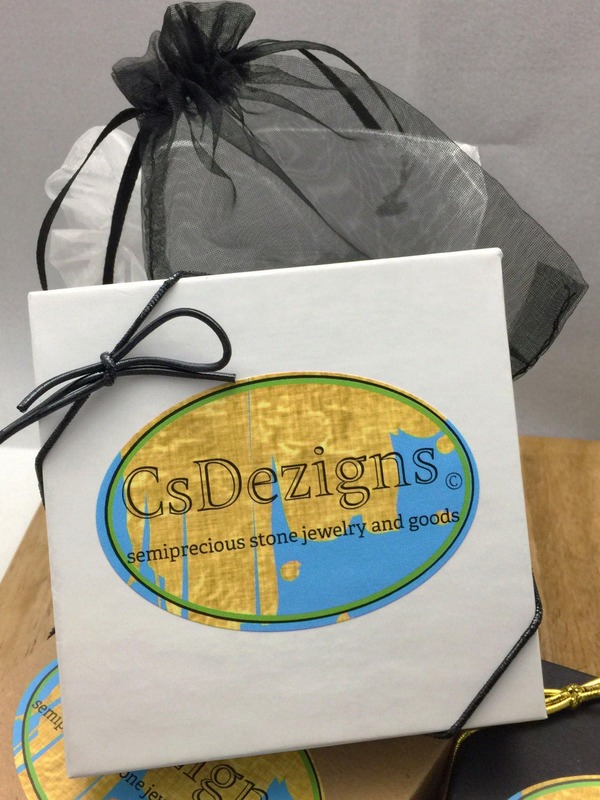 Items include a organza bag, gift box with anti-tarnish cotton and a metallic stretch ribbon cord."